As Wall Street raises the stakes around cryptocurrency, large institutional players are circling this new asset class and bringing with them their own set of requirements. For example, there’s a need for qualified custodians to hold the assets these big-money investors will trade, as in the traditional, regulated financial realm. But a less-discussed yet critical condition for making institutions feel at home is providing adequate insurance against theft for all those custodied assets. The problem is that there’s not enough of this insurance to go around. While insurance is an opaque market, estimates of the total amount of coverage the industry is willing to provide to crypto custodians and exchanges top out at $6 billion – a drop in the bucket, considering that the top three exchanges each handle more than $1 billion of trades a day, to say nothing of the total market capitalization of all cryptocurrencies of $140 billion, even after this week’s brutal sell-off. And that’s the optimistic insurance scenario. Insurance is critical for getting institutions to invest because unlike stocks and bonds, crypto is for all intents and purposes a bearer asset. Once a thief obtains the private keys to a wallet, the money is gone, like cash or jewelry pilfered from a safe. And despite the 2018 bear market, crypto remains a juicy target for criminals around the world, as evidenced by kidnapping and extortion cases from New York to India. The large amounts institutions would hold would only compound the risk. One reason for the shortage is that right now there’s a chicken-and-egg problem for the insurance industry: there is almost nothing to go on in terms of a history of losses and claims, which underwriters crave to model the risks involved. “Increasing numbers of policyholders will be looking for comfort that they have specific coverage that is expected to apply in the event of a blockchain-related loss,” said Daniel J. Healy, a partner in the Washington, D.C., office of the law firm Anderson Kill. In this context, it’s notable that one of the big exchanges, San Francisco-based Coinbase, has eaten up a huge chunk of the cover being written, with about $250 million worth, according to people familiar with the situation. To put that figure in perspective, Quintal said limits depend on the type of wallets and storage but around $100 million is about right for an exchange doing a mix of hot and cold storage, i.e. online and offline wallets, respectively. For purely cold storage, “you can get considerably north of that figure,” she said. While Coinbase would not discuss numbers, Philip Martin, the company’s vice president of security at Coinbase, acknowledged that it’s one of the market’s largest consumers. Greg Spore, US placement leader, financial and professional practice at insurance broker Marsh, cautioned to take any claims about a single company’s coverage with a grain of salt. “You do hear rumors in the market that an insured [party] could, for their own reasons, want to promote that they have more limits than they have; maybe their customers get a sense of comfort if they have greater limits and so maybe the stated limit is $200 million,” said Spore. “But actually, there is some type of coinsurance provision, where it means, in reality, there is only $100 million in risk transfer,” since the insured party pays a share of the claim. Stepping back, there are two distinct types of insurance product providing crypto policies today: the commercial crime market and the specie market. Commercial crime covers things like cash in ATMs or moved around in armored cars, and it’s this market that generally provides coverage for “hot” wallets, where the keys are in a device connected to the internet. On the other hand, the specie market has traditionally insured vaults or specially designed premises where high-value items like gold bullion or art are stored. It’s this sort of cover that custodians are looking at for cold storage, where the private keys to a wallet are kept on a piece of paper or an offline device. One large policyholder who has studied the market extensively estimated that the commercial crime market’s capacity is relatively low, less than $1 billion and probably in the vicinity of $750 million. This source, who did not want to be identified, pegged the specie market’s global capacity for crypto assets at $3 billion to $5 billion, for a total insurance industry appetite of $6 billion at best. On a more granular level, Spore said he knows of specie consortiums that have the capacity to cover up to $660 million of cold storage only for a single entity. However, it’s highly unlikely any crypto firm would get that amount, he said. Conversely, hot storage-only capacity would not even approach $200 million, Spore said. There is also a stark disparity in premiums depending on whether the crypto being insured is in a hot or cold wallet. “In terms of the pricing, they are really in different stratospheres,” Spore said. The way crypto insurance generally accumulates is via one or two underwriters who understand the risk deeply and then the rest of the capital follows their lead. For example, a lead underwriter may toss $5 million to $10 million of capacity to a “tower” and the rest gets filled out by 30 or 40 other syndicates. In this structure, if there is a theft of crypto, the underwriter at the base of the metaphorical tower will be the first to pay claims after the deductible, followed by the next one up, and so on. The higher an insurer is in the stack, the less risky the position, and hence the smaller a premium it will demand. Hence, the cost of cover for a mix of hot and cold storage works out to between 1 percent and 2 percent of total insurance purchased, usually depending on assets under custody, but that figure can be “highly variable,” said Quintal at Aon, which has been arranging insurance policies in the crypto space since the early days of 2014. Cold storage-only solutions will get you closer to the bottom of the range, as will “high total limits,” she said, explaining that the first few layers of capacity (say, $5 million to $10 million) will be more expensive than the next and last ones, which drives the overall average rate down as you buy more. Insurance of crypto assets is generally offered on an all-or-nothing basis. In other words, a custodian can’t offer it as an option to each customer; it has to insure everything, according to Ari Paul, chief investment officer and managing partner at BlockTower Capital. This makes it expensive, and the cost is passed to investors. If the custody service itself costs 50 basis points, for instance, then adding 1 percent to that is tripling the cost, noted Paul. “One and a half percent total fees for custody is very high, compared to the traditional world. To a pension, that feels like a lot,” he said. Today the vast majority of crypto insurance is written out of London. That said, Coinbase’s policy includes participation from underwriters in New York, a first for the crypto space, according to a source familiar with the arrangement. The Bahamas is also said to be starting to show an interest in this market. The hub for crypto cover, nevertheless, is Lloyd’s of London, the centuries-old insurance market where ship-owners and captains originally clubbed together into syndicates to spread the risk of losing their cargos. 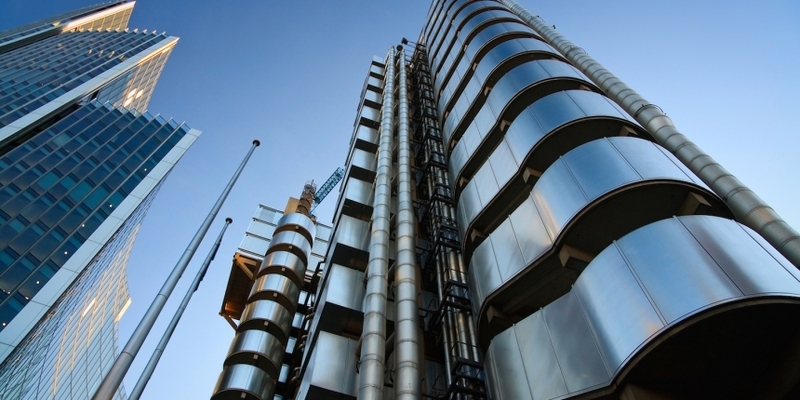 Last year some 85 Lloyd’s syndicates, comprised of corporations and individuals, collectively wrote £33.6 billion ($43.3 billion) of gross premiums covering a wide range of property and liability. Brokers have been working with Lloyd’s to educate underwriters and show that crypto insurance presents a significant opportunity to the London market (which last year took a battering thanks to numerous hurricanes and wildfires). Yet, following an unprecedented announcement this summer that Lloyd’s was underwriting custody of crypto assets, industry sources said underwriters in the London market have put the brakes on this activity, under pressure from the umbrella organization of Lloyd’s. While Lloyd’s wouldn’t give specifics on what form the syndicates’ additional scrutiny has taken, underwriters have been requiring independent reviews of crypto custody solutions carried out by technically adept third parties. The cost is borne by the placing custodial company, and it does not come cheap. “It will run anywhere from $50,000 to $150,000 for the company to come in and do that,” said Jerry Pluard, president of Safe Deposit Box Insurance Co.
Financial costs aside, these reviews also require companies to open the proverbial kimono. “There’s a real concern for the custodians about exposing their proprietary information; that level of review starts at the foundation and goes up to the roof,” said Pluard. Aon’s Quintal acknowledged the concern among custodians in sharing proprietary details, but said some degree of technology and security information is absolutely essential to securing a policy. “Based on experience, there are ways to be specific enough without revealing too much,” she said.